Laoag is a coastal city facing the South China Sea in the northwest of Luzon Island, Philippines. There is a weather station of PAGASA nearby Laoag International Airport, where SYNOP and twelve-hourly radiosonde observations are usually performed. As a part of the YMC-BSM2018, JAMSTEC, PAGASA, and UP are jointly conducting an intensive observation campaign in July and August of 2018 at the weather station. It consists of six-hourly radiosonde sounding during the two-month period, X-band weather radar observation in August, and inter-comparison of radiosonde sensors manufactured by several companies. 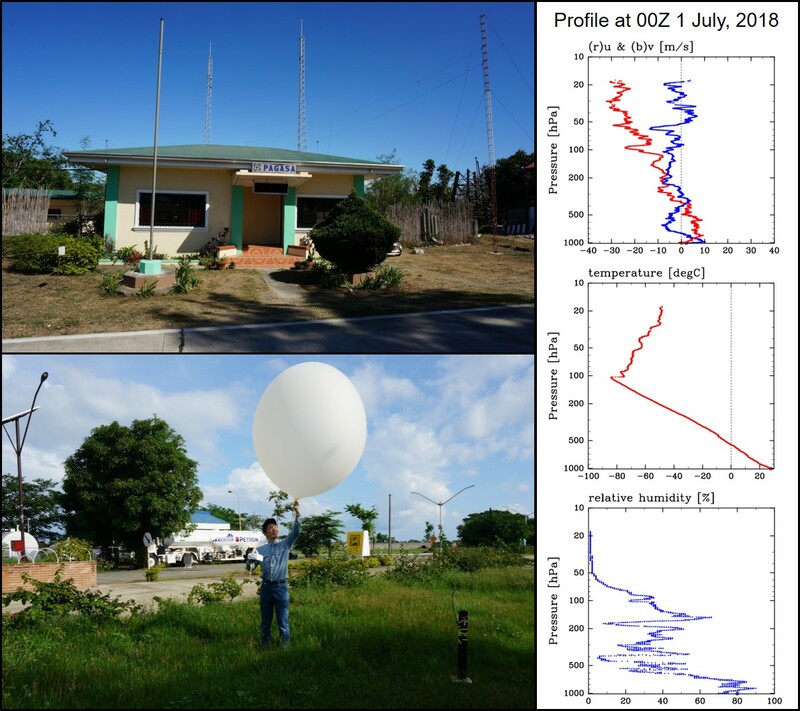 I have visited Laoag and commemorated the start of the campaign by doing a kind of “balloon release” ceremony, using a balloon (with sensor/transmitter) for the first radiosonde observation :P.
The images are (upper left) the Laoag weather station, (lower left) “balloon release” ceremony, and (right) data of the first radiosonde. YMC-BSM 2018 has been started !